Earlier this month, a beautiful bride and her groom celebrated their wedding at the prestigious Maleny Manor in the Sunshine Coast Hinterland. The sun shone between showers of light rain, and I do hope that the rain brought this couple some good luck on their wedding day. 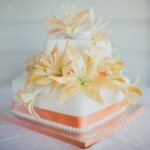 The top tier of the cake was a gluten free and dairy free chocolate fudge cake. 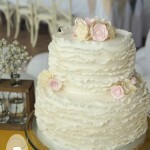 The bottom tier, also gluten free, was made in the groom’s favourite – vanilla buttercake. 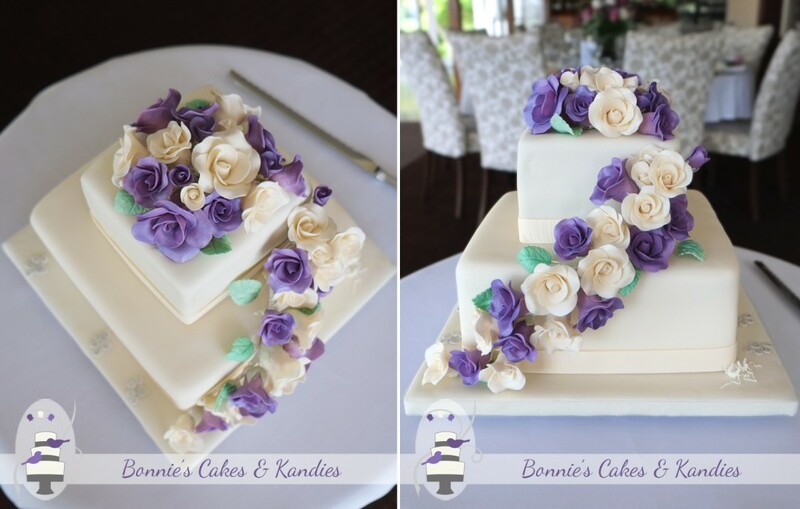 A full posy and cascade of handmade ivory and purple sugar roses was the main feature of the cake. After a lovely conversation with the bride, we decided on one extra special addition to the decorations. Silver paw prints were placed around the fondant-covered baseboard as a subtle way to incorporate the couple’s love of their dogs. What a beautiful thought and finishing touch to the design. 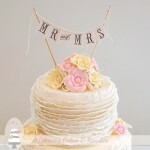 This cake was a joy to create. 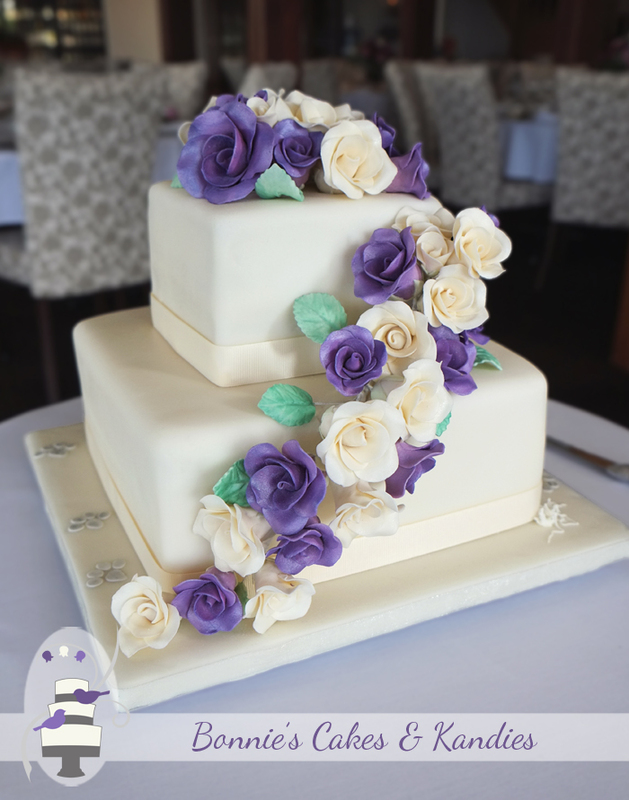 I personally love square cakes, beautiful icing flowers, and the extra sweetness that comes with the addition of something personal in the decorations – in this case, the little paw prints. Congratulations and very best wishes to the beautiful bride & her groom, as well as their much-loved furry family members.